My name is Patrick Burnham but most people in the art world know me as CloudFace. 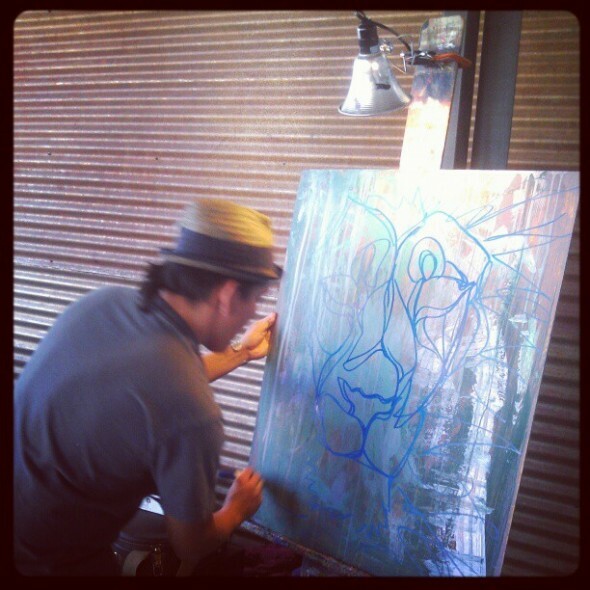 I’m a Navajo/Hopi painter, musician, and dancer. I’m from Gallup NM but I’ve been living and working in Albuquerque for the past 2 1/2 years. I’ve been painting as long as I can remember. 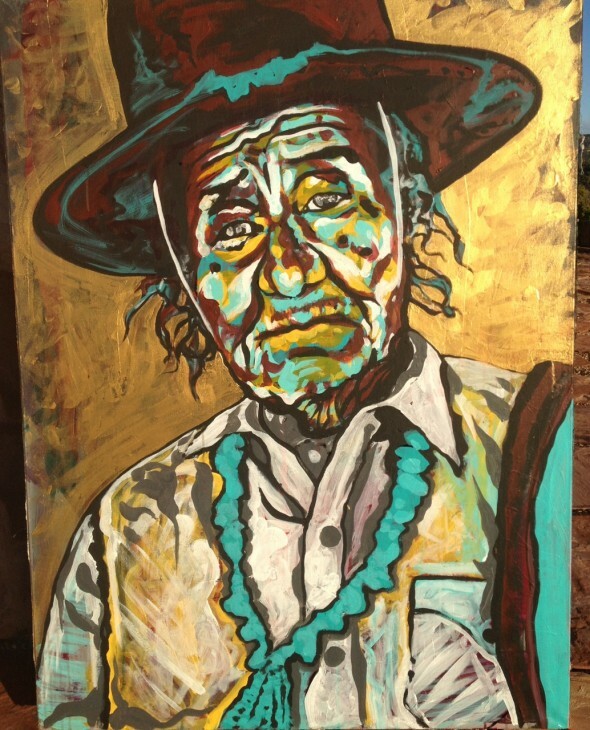 My older brother was a painter and my parents were in the native arts business, so becoming an artist was a very natural path for me to follow. I started selling my art and entering juried art contests at around 10 years old. I started selling my work at native art shows that my parents were doing and I won a few ribbons for my work at the Heard Museum, and the Gallup Intertribal Ceremonial. After a while I started losing interest in having an “art career” because like any other 11 year old, I just wanted to go play with my friends. 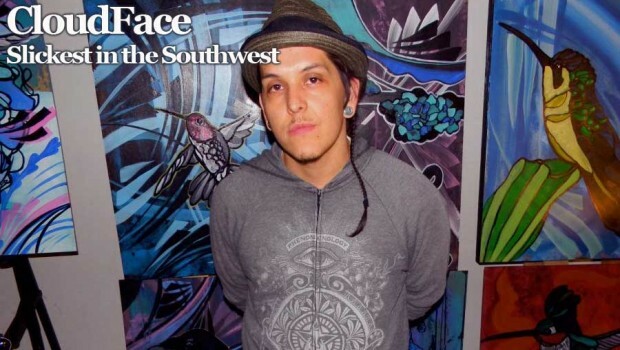 In the next few years I discovered graffiti art (which revived my interest in art) while traveling across the country doing native art shows with my family. I was very curious what it was all about and through time I learned graffiti was just one element in the culture of Hip-Hop. In my teenage years I became obsessed with hip-hop and spent all my time doing graffiti and breakdancing (bboying). 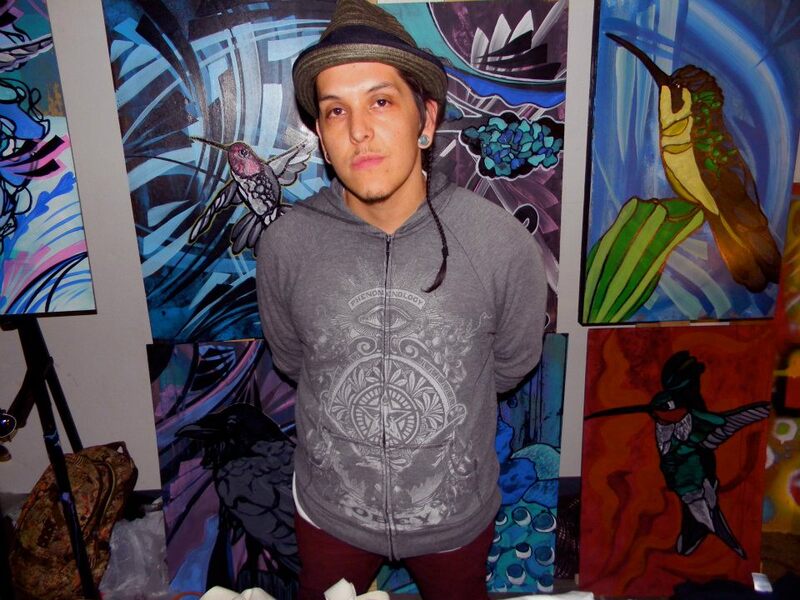 Around ’98 or ’99 I met this skinny Navajo dude that could paint, dance, rap, and dj, that guy was Randy B. After meeting him my path in hip-hop was solidified. We became brothers and formed Foundations Of Freedom, an art collective of painters, dancers, mc’s, and djs. In the next few years, I met Dj Abel and started Djing. Abel mentored me and put me up on game with my first dj gigs. Around 2004 I started making my own beats and fell in love with making music. Over the next few years I recorded and released my debut album “Secrets of the Invisible” in 09. I don’t know if I was I supposed to go into so much detail there. Oh well, hahaha. How would you explain your creations in 4 words? Four words?? El Oh Vee Eeee. Where does you vision come from and what do you hope to accomplish? I don’t really know where my “vision” comes from or if I would even call it that. I feel like every piece of work is more like an expression of love, a secret, or sometimes a prayer even. I don’t often put much analytical thought into creation. I just create and the more I create the more freely it happens. What I wish to accomplish is to connect to others through what I do. I try to walk in beauty and I hope that inspires others to do the same. Also I hope to continue providing for myself and my children doing what I love. When you were young, did you ever imagine your work would inspire and motivate so many people? When I was young all I thought about was having magical powers. Could you please give our viewers some information about where they can see/hear/purchase your work? You can find my art at cloud-face.com although I really need to update my site. 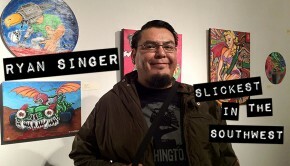 You can find my music on iTunes, Cloud face “Secrets of the Invisible” and you can catch me dancing, Djing, doing live art, and such mostly around Albuquerque, but I get around a bit.